We know how hard it is to get up on rainy days! But you’re in luck! We have an awesome delivery guy who is willing to come to you at a small charge. Call 580-332-3353 to get our delivery options. Click here to see how to easily apply TED hose! Hope everyone is having a good Monday!! Here at Equip Care we have patients that are not able to safely shower. We offer a variety of products for these patients including the products featured above. Contact us for more information!! Hard to believe August is upon us. Who else thinks 2018 has flown by so fast already? Here at Equip Care we take pride in the care we have for our patients, and we want to encourage all of you to show that care and love as well. Now that summer is winding down to a close, we want to encourage you all to slow down your everyday lives and spend some quality time with the people around you. For instance, school is starting in a couple weeks so maybe you should focus more time on your kids or grandkids during this time. Or maybe this looks like a weekend getaway with some friends! Whatever it is for you, take the time to slow down and do it so we can look back at the years in contentment rather than questioning where the time has gone. 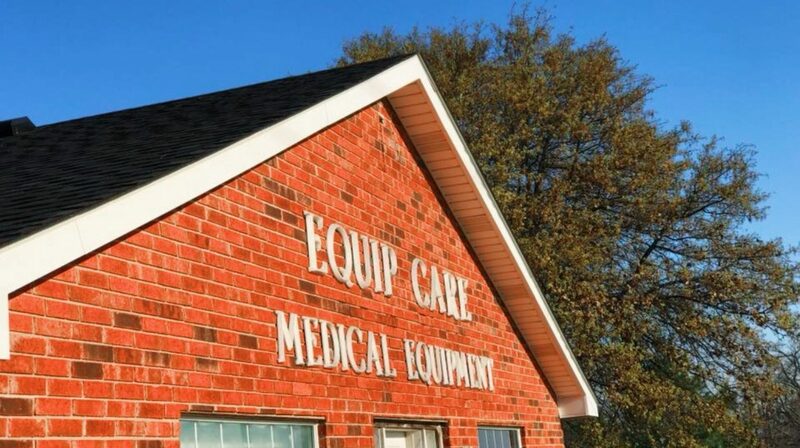 And don’t forget to stop by Equip Care to get love and care while we service you to all your medical equipment needs!!! Check out this link for information on lift chairs! Life can be very hard for people who aren’t able to do certain things on their own. For example, the struggle of getting up after taking a nice nap. Thank goodness for lift chairs! Lift chairs are used for people who need help getting out of their chairs. At Equip Care we have a wide selection of lift chairs to choose from. Come by and check them out! Check this out! Here at Equip Care we serve all ages. One if our most fun products to give our younger clients is our nebulizers simply because they get to pick from such a wide selection of themes. For example, we offer race cars, bunnies, dogs, legos, penguins, and more. This photo is a picture of our delivery tech’s daughter. She is sick at the moment and using one of our nebulizers! Get well soon! Choosing the right product for you or your loved can be a very confusuing experience especially when there are so many different options. Here at Equip Care we have a lot of these options. When you come in our store we always strive to find and inform you of the perfect product for you! Similarly, we want to give you some brief, helpful information prior to your visit. Handheld shower head – A removable shower head used for subjects who need to sit while showering or have a difficult time showering for other reasons. Shower chair – A chair made for showers for subjects who are not able to stand for a long time or have a difficult time showering. Some are made with suction cups attached to the legs of chair for safety purposes. You can purchase these chairs with or without arm and back support. Transfer tub benches – A bench that allows the subject to safely get in and out of their shower or tub safely without having to lift their legs. Simply slide. Grab bars – A bar that attached to the wall that provides the subject with a device to support them while getting into shower, tub, or help with using the restroom. Raised toilet seat – Increases the height of toilet to prevent falls. Grab a cup of coffee and get going this Monday. CONQUER this Monday. OWN it. Come see us, 8 am – 5 pm.